Vineyard owner and winemaker Thomas R. Shelton has been growing grapes since 1999 on his Eden, MD property bordering the pristine Wicomico Creek. 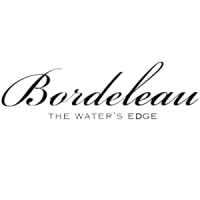 The first licensed vineyard in Wicomico County, the name Bordeleau - “edge of the water” - was chosen to reflect not only the distinctive environment where their grapes are hand-harvested, but also the favorable climate similarities to the Bordeaux region of France. Currently, 12 different varieties of grapes are under cultivation on 13 acres. This red dessert wine was made from a blend of 2008 Chambourcin, 2008 Merlot and our award winning 2008 Amarone. This wine was aged in a combination of French and American oak barrels and fortified with spirits distilled from other Bordeleau Wines. 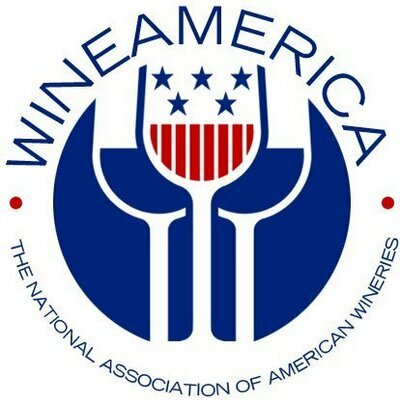 The wine has a smooth, mellow richness with notes of blackberry, dark cherry, and raisins and boosts a long-lingering finish. As you sip this beautiful Peach wine, you will believe that you're biting into ripe peaches that were grown here in the orchards at Bordeleau. Your senses will explode with peaches from the first taste to the last. To create this delightful Strawberry wine, we used only strawberries that were grown entirely on our property. Only 100% fruit is used. This Apple wine was made from a multiple of variety of apples grown in the orchard here at Bordeleau. Enjoy the pure aromatics and delightful finish. This Blackberry wine was made from a blackberries grown on the Bordeleau property. Enjoy the pure aromatics and delightful finish of the Blackberry Wine. A beautiful structured sweet wine with balanced fruit and acidity that was made from 100% Vidal Blanc grapes. This wine has big aromas and tastes of apricot and nectarines with hints of lemon and tangerine on the back end. Best served chilled. A sweet light red table wine blended from merlot, chambourcin and mélange of white wines. Bright fruit on the nose extends through the mid palate with smoky spices on the finish. A summer-on-the-porch wine. Enjoy with chocolate, soft cheese. Nice to sip after dinner. This crisp and light sparkling wine was made from 100% chardonnay and has delicious notes of complex citrus fruits. The pin-sized bubbles will dance across the palate resulting in a long, velvety and memorable finish. It should be served cold between 39-44 degrees. Sparkling wine needs no particular meal or reason to be consumed, but simply enjoyed again and again. This semi-sweet wine expresses perfume-like fragrance of rose petals, honeysuckle and lychee fruit. This Moscato evokes amazing flavors of peach, pear, honeydew melon and apricot. Serve chilled with light cheeses, desserts, fruits and loved one. A fruit medium body off-dry Rose made from a mélange of red and white wines. Aromas and flavors of strawberry and spice, with a crisp sour finish. Pairs well with soft cheeses, smoked cheeses, any slightly smoky dish. Best served chilled. This crisp chardonnay was barrel fermented and made in the Sur Lie method which extends the lies contact that contributes complexity to the wine by integrating yeast characteristics with existing fruit and wood flavors, creating a wine with greater depth. This wine reveals elements of lemon and lime on the nose and has a wonderful flavor of vanilla and hints of apple and spice through the finish. Our Unoaked Chardonnay is a refreshing, crisp, dry white wine made and aged in stainless steel and has a perfect balance of acidity and fruit, with notes of apple, lemon and tropical fruit on the nose, with a long-lasting finish. This crisp, clean and savory Sauvignon Blanc was made in the new world style with tart and refreshing acidity that begins with gooseberry and grapefruit that finishes with a surge of citrus through its lasting finish. This beautiful balanced wine begins with delicate tastes of pear, peach and hints of green apples. Although delicate on the nose, the mid-palate bursts with citric fruits of orange peel, lemon and lime continues through a long lasting finish. Enjoy this classic Bordeaux Style blend made from wines selected from our barrels with the highest scores. This blend was aged in a combination of French and American oak barrels for more than 24 months. This wine exhibits layers of black cherry, black raspberry and currants gently melded with light oak tannins. Our blend consists of 50% Merlot, 30% Cabernet Sauvignon, 10% Malbec and 10% Petit Verdot. This Lot Number 1 Petit Verdot is Bordeleau's first offering of this variety. Blending multiple vintages helps provide a good mix of soft tannins and fruit that give the wine the best of both. This Bordeleau Petit Verdot is a full-bodied wine that displays dark cherry and black currant aromas with a long and lingering finish. The aromas of this fruit style of Cabernet Sauvignon begins beautifully with dark bing cherry, black raspberry and plum. The wonderfully rounded mid palate offers spices of cinnamon, white pepper with hints of mocha and chocolate. The smooth tannin structure allows the mouth watering fruits and spices to linger on the long and lasting finish. This elegant medium to full bodied wine is bursting with bright red fruits and spices. Enjoy aromas of bing cherries, red raspberries, red plums with hints of cinnamon and vanilla throughout the entire tasting. This easy to drink wine is lightly oaked with velvety soft tannins and has along lasting fruity and savory finish. Bordeleau's Lot 2 Malbec is a blend of the best barrels of our Malbec wines. This wine, aged an average of 47 months in French East European and American Oak barrels. Full-bodied wine that displays cherry, blackberry, blueberry and mocha flavors with a long lingering finish. Chambourcin has been Bordeleau's signature red wine and this Chambourcin is no exception. This garnet-colored wine has a medium- to- full supply body and offers aromas of chocolate, toasted wood, spiced mulberries, herbs, and pralines. The wine is well balanced and demonstrates a tangy sandalwood, sour cherry and chocolate finish. This ruby red Cabernet Franc is layered with lush plum, currant, black cherry and raspberry fruits. It has nuances of herbs, spices, and tobacco with peppery undertones and a smooth velvety long-lasting finish.